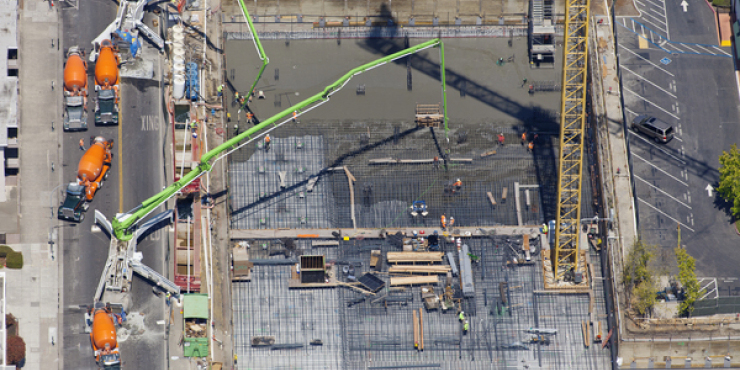 Graniterock snagged a piece of the Bay Area’s housing boom by providing 20,000 yards of concrete for the foundation of a new apartment building in downtown Redwood City. Graniterock’s concrete team is working with Conco Cement on the eight-story, 196-unit complex under construction on an L-shaped parcel at Main and Marshall streets, which includes a parking garage with 330 spaces. The building will have seven floors of apartments sitting on top of 3,500 square feet of ground-floor retail space. 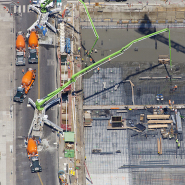 Concrete work started in July, including three pours of more than 2,000 yards each. Subsequent pours are scheduled through April 2015, concrete sales representative Zack Booth said. The $100 million project is a joint venture between Lennar Multifamily Communities and Resmark Apartment Living.